The results came in an email. The news was nothing less than excruciating. You failed the New York State bar exam. The first action is more difficult than you might have anticipated. 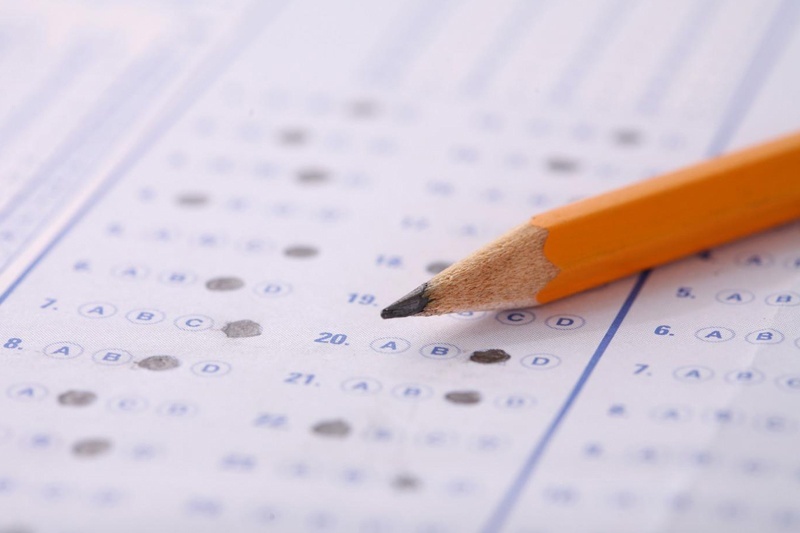 It turns out that law school could teach a course in deciphering bar exam score sheets. However, you are in luck because we can help. With respect to the written portion of the exam, on the right hand side of the score sheet where it indicates the weighted score, the ideal score would be 332.5 or better. This is not a “cut-off” for passing —332.5 is simply half of a passing score of 665. The written average (MPT and 5 essays) counts for half of the points available on the exam (500 points out of 1000). Essentially, students need a 48.5 on each essay and the MPT, which would get them to the 332.5. If your scores suggest, for example, that your writing needs improvement, be aware that you can still pick up points on any section of the exam to improve the overall score. Therefore, it is essential to take a balanced approach to studying for the bar exam and start blocking off as much time as possible to study. We also strongly encourage you to take a full bar review course again. If Feburary was your first time taking the exam, it’s likely that you may be entitled to a free course from Pieper, BarBri, or Kaplan. If so, you need to do some soul searching to figure out what is going to help you learn the material better than you’ve ever known it before. That may very well mean that switching courses may be your best option, even if it costs you money. After all, how much is that course worth to you if you don’t end up passing the February exam? What are you really saving? 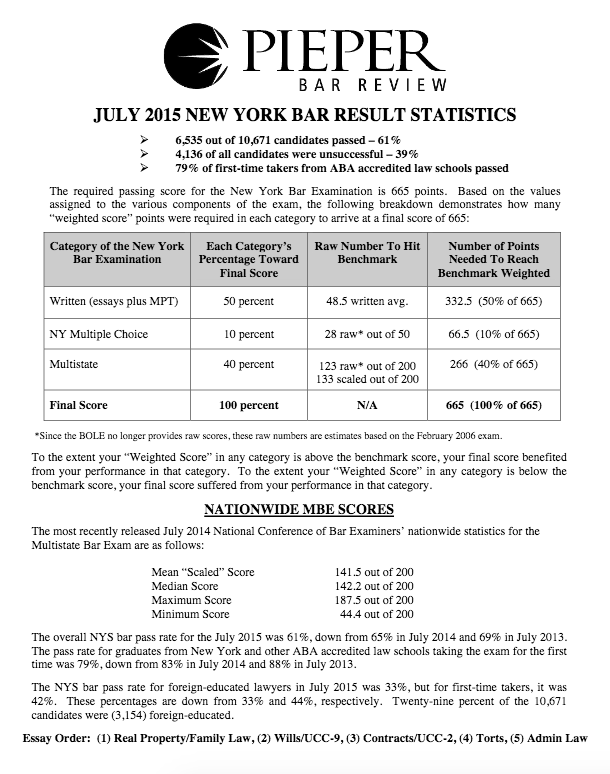 The time, expense, and emotional capital that you invest in re-taking the New York State bar exam is considerable. While you can save cash by enrolling in a course that failed you for free, what is it going to cost you in time? What will be different about the course this time that will propel you to a passing score that it didn’t last time? The following video is John Pieper’s discussion of the July 2015 New York Bar Exam and how to prepare to prepare to re-take the exam in February 2016.